I am trying to find out any information on my great-grandfather, Eric White Davis who is pictured below. He was a member of the Brighton and Hove Harriers. Does anyone have an idea of when the photograph might have been taken? 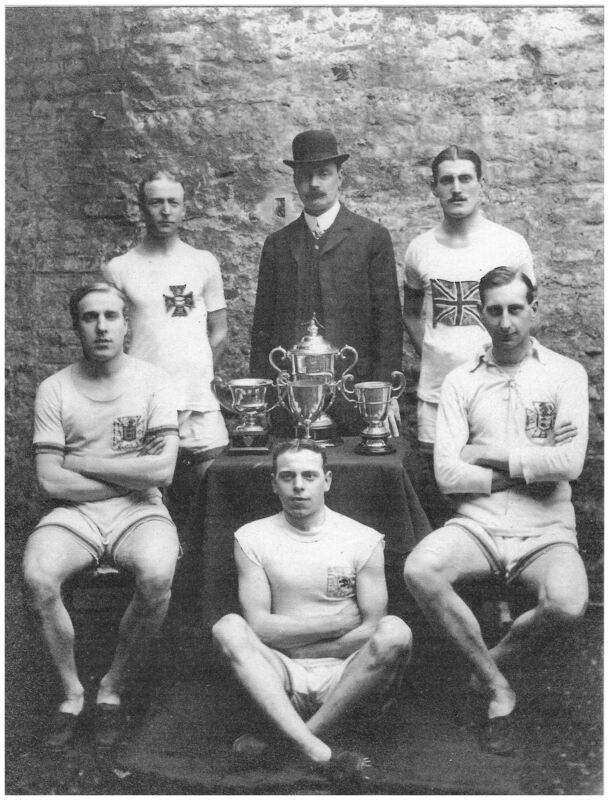 What about the Brighton and Hove Harriers – does anyone have any information on the cups shown in this photograph? Click on the photograph to open a large version in a new page, and click again to further enlarge.